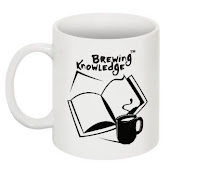 Brewing Knowledge: 10 places to intern and get a good stipend. 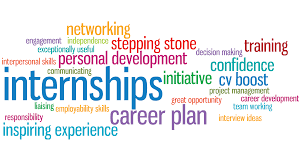 The value of a well-chosen internship is that it can help an individual along with his/her chosen career path, giving them a clearer idea of what exactly working in that field entails. The individual can then re-evaluate themselves and their goals in terms of their performance during the period of internship. An internship can also help with developing soft skills that can come in handy in any profession at a later stage. Internships can also help with networking and building contacts. How do you find an internship that suits your needs? www.roposo.com- Roposo is an e-commerce start-up that is dedicated to women’s fashion.They are looking for freelance photographers. This is a virtual internship that pays Rs. 4000-5000 per month. The duration of the internship is touted to be 2 months. The skills required are creative thinking and camera work, while the job requires one to take photographs of the street fashion trends of women in different areas of your city. The website requires you to submit 10-15 pictures every Monday. AutoColumn.com- AutoColumn is an automotive blog run by enthusiasts and they are looking for a content writer/blogger to create content for their core blog. “If you like talking or writing about cars and bikes of all sizes and shapes, from Nano to Audi, and Hero Moto Corp to Hayabusa, don’t miss this opportunity,” is what they say. Interns are guaranteed a stipend. Snap Skill- Snap Skill is dedicated to developing a niche for a student in his/her field of study by providing value added innovative workshops. It is a non-profit organisation. Snap Skill is looking for somebody with basic entrepreneurial skills to work on a comprehensive marketing campaign for Snap Skill. The individual will be required to provide support to social media efforts. You will have to decide on marketing strategies and lead a team of 5-10 people. You must be able to conceptualise and design from scratch as well as come up with innovative ideas for flyers, posters, t-shirts, freebies etc. You will also be required to interact with guests and client interviewers. This internship requires excellent communication skills and the ability to work in a team. Stipend (of up to Rs. 25,000) is performance based and the duration of the internship is 4 months. Exhibit Technologies Pvt. Ltd: Exhibit Technologies deals with advertising, PR and Event Management. This is a virtual internship. They are looking for a video editor for shoots as well as to review videos of products. They pay Rs. 3000- Rs. 6000 per month and are looking for candidates who can work on Windows-based software such as Adobe Premier and After Effects. Interns will be required to assemble recorded material into a finished product suitable for broadcasting. They also require individuals who can work within deadlines and under pressure and are good with dealing with other people. Magneto Environmental Grouppe: Magneto is a heat ventilation and air conditioning company. Magneto is looking for a Marketing Intern who can assist in the creation of circulars, e-mail campaigns, on-line promotion etc. The intern will also be required to perform an analysis of marketing and sales, maintain tracking records of Public Relations activity, prepare presentations and open and sort out e-mails. Skills required are Presentation and communication skills, content writing and a preferred ability to work with Adobe Photoshop. The stipend is Rs. 4000 to Rs. 12,000 per month. Travelista India: Travelista is looking for Travel Writers and Editors who can write interesting, engaging and informative content for the website Indianbackpacker.com. The stipend will be Rs. 3000-Rs. 5000 depending on the number of articles submitted. It is a work-from-home opportunity and interns will be required to submit 10-15 articles for a period of 2 months. Copy-editing and proofreading articles and finding and developing new ideas fweb contentent are part of the job. Budget Indian Wedding: budgetindianwedding.com is a platform where wedding planning can be done online and they are looking for somebody who can write blog posts for their website, relevant to wedding ideas and planning. Requirements include grammatically good English, as well as some prior experience with blogging. They pay a fixed amount of Rs. 7000 for about 50 articles to be written over a span of 1 month. Interns will also be required to ensure that web-content is user friendly and key worded. 8.135Tech Labs: This is an angel funded mobile start-up. They are looking for Brand Ambassadors in colleges across India, who can promote the Hangoutt Mobile App in their respective colleges and increase the app download. Prospective interns will have to download Hangoutt on their Android phones and fill out the Brand Ambassador application. Interns will be required to promote events via social media etc. Requirements include good communication skills, tech savvy and good organisational abilities. Pay would be about Rs. 3000- 10,000 for a period of one month. 9.Soulflower: Soulflower, a brand in aromatherapy, is looking for a legal intern to work under their legal team and take care of all their agreements. Job responsibilities would include gathering research on a variety of legal issues that may arise dealing with municipal law, contract law, land development, licensing and procedural issues etc. Interns will be required to draft ordinances, resolutions, contracts and agreements; analyse legal crisis situations, recommend a plan of action, and implement practical solutions; prepare and submit reports, data and materials as required. 2nd year law students and higher may apply. The stipend offered is Rs. 7000 per month for a period of 2 months. 10.MetisMe: This is a start-up that provides software services. They are looking for interns for a period of one month. Candidates are required to be proficient in MS-Excel. The intern will have to refine data on Excel and once that is done, they will have to generate an analysis of the same. This is a work-from-home internship and the stipend ranges between Rs. 5000 and Rs. 7000. A last word of caution- choose wisely. Don't take a hasty decision. Though internships are only for a short duration, if you don't enjoy doing what the organisation requires of you, the work may seem tedious and boring. Worst still, you would be unnecessarily spending time on something that matters little to you. Find out what you can do with us at www.SchoolEducation.com, we may be the 11th and interesting option!